Awards - Arizona Consumer Bankruptcy Counsel, Inc.
ACBC honors and acknowledges outstanding contributions to our organization and to the consumer bankruptcy practice in Arizona (by both members and non-members). 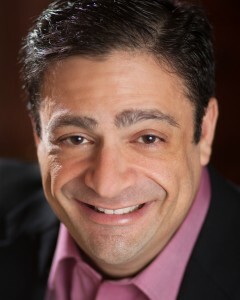 Brian Spector was selected as the ACBC 2018 Member of the Year. His award reads: Thank you for your extraordinary dedication to ACBC and the legal profession. You are an exemplary role model for all lawyers. Brian Spector is a business and bankruptcy lawyer and litigator whose practice focuses on the representation of debtors, creditors and others in bankruptcy, workouts, and collection matters. Judge Collins' award reads: "Our entire bankruptcy community is enriched by your commitment to quality education and your focus on professionalism and mentorship"
To quote from Judge Collins' bio: "Hon. 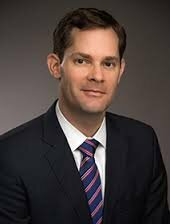 Daniel P. Collins is a Bankruptcy Judge for the U.S. Bankruptcy Court for the District of Arizona in Phoenix, appointed as bankruptcy judge on Jan. 18, 2013, and as chief judge on March 17, 2014. Previously, he was a shareholder with the law firm of Collins, May, Potenza, Baran & Gillespie, P.C., in downtown Phoenix, practicing primarily in the areas of bankruptcy, commercial litigation and commercial transactions. Judge Collins served on the State Bar of Arizona’s Subcommittee on the Uniform Fraudulent Transfer Act. He also chaired the Bankruptcy Section of the State of Arizona from 1995-96 and was a lawyer representative to the Ninth Circuit Court of Appeals. He was granted the St. Thomas More Award in 2017. Judge Collins is a member of the National Conference of Bankruptcy Judges, ABI, Arizona Bankruptcy American Inn of Court, Federal Bar Association, National Association of Bankruptcy Trustees, State Bar of Arizona and the Maricopa County Bar. He currently serves on ABI’s Board of Dirctors and on the board of the Federal Bar Association’s Phoenix Chapter. He is also a member of the University of Arizona Law School Board of Visitors and was one of the founders of the Arizona Bankruptcy American Inn of Court. Andrea has practiced exclusively as debtors’ counsel in consumer chapter 7 and 13 cases for the last 10 years, including 2004 exams, objections to exemptions, stay-relief matters, adversary proceedings, and stay and discharge violations, handling all matters from inception to case closure while also acting as managing attorney for her previous firm, Marco | Wimmer PLLC. At her current firm, she will expand her practice to include chapter 11 debtor work for both individuals and businesses as well as aspects of commercial litigation and bankruptcy appeals. Andrea has been a speaker at, among other events, ABI’s Southwest Bankruptcy Conference, Norton’s Bankruptcy Institute and the Arizona State Bar Convention. She is a member of the National Conference of Bankruptcy Judge’s NextGen Class of 2016, and she received the 2014 Member of the Year Award and a Special Appreciation Award from a local consumer attorney group, as well as a Distinguished Service Award from ABAIC. 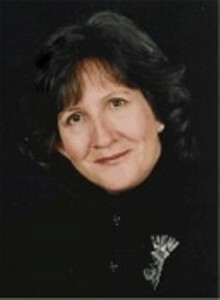 She has published in NACBA’s Consumer Bankruptcy Journal and the State Bar of Arizona Bankruptcy Section Journal, serves as treasurer of the Arizona Consumer Bankruptcy Counsel and president of the Arizona Bankruptcy American Inn of Court, and is a member of the Local Rules Committee’s Chapter 13 and Uniformity Subcommittees. Andrea grew up in Austria and moved to the U.S. by herself after high school with the single goal of becoming an “American lawyer.” Ten years later, she built a firm and established herself as a respected member of the legal community. She is affiliated with the League of Women Voters and Lawyers for Good Government, and she volunteers at local advocacy events and at a local food bank. She has also been a volunteer attorney with the Arizona Bankruptcy Court’s Self-Help Center, which provides assistance to pro se debtors. Krystal Ahart was selected as the ACBC Member of the Year. Her award reads: Thanks for your extraordinary dedication to ACBC and the legal profession. You are an exemplary role model for all lawyers, especially young lawyers. See below for more about Krystal's contributions to the entire bankruptcy practice, her clients and her commitment to ACBC and its members. Larry's award reads: Our entire community is enriched by Larry’s commitment to quality education. Everyone, including our clients, benefit by Larry’s willingness to share his vast knowledge. To quote from Larry's bio: The clients that come to me do so during a difficult time in their lives and need help. Creditor and collection agency harassment can be disturbing and can lead you to make decisions that are not in your best interests. Dealing with financial problems is stressful, so true bankruptcy help can only come from someone who genuinely cares about their client and can guide them through the process painlessly. As an experienced bankruptcy attorney in Arizona, I have helped many clients find the peace of mind they deserve and I have done so with compassion and the one-on-one bankruptcy help and advice required. Cynthia's award reads: ACBC’s thanks for your tireless commitment to helping those lost in the tangle of procedures called bankruptcy. Your devotion to the Self-Help Center is core to its success. 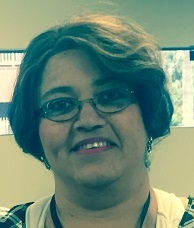 Cynthia McElroy currently works at the Bankruptcy Court Self Help Center in Phoenix Arizona. She has an Associates Degree and Bachelor’s Degree in Business Administration with a concentration in MIS, and has 18 credits hours toward her Masters. She started her career at the Bankruptcy Court in Chicago Illinois, and has also worked at the courts in Dallas Texas, San Jose California, Fresno California, Baltimore Maryland, and Tucson Arizona. She has been with the federal courts for 24 yrs in various positions. She enjoys helping people and gets great reward when she is able to help someone and they come back to thank her for the help. She believes in being a good listener even if there is nothing I she can do for the pro se debtor because what she has learned is that most of the time people just want someone to listen and to care. She enjoys working at the Self Help Center and has gained many a friendship from our volunteer attorneys. She is a wife and mother of 3 girls and also enjoys volunteering at her church on the weekends. Krystal Ahart, is an attorney at the Bankruptcy Legal Center, Law Office James F. Kahn, P.C. Krystal is also on the Board of Directors for ACBC. Krystal agreed to oversee the entire Bankruptcy Section program for the 2016 State Bar Convention. This obligation is extremely daunting and time consuming, but Krystal successfully produced a wonderful day-long series of bankruptcy programs. She will tell you that there are many unsung heroes who helped with the program. But what she will not mention is the challenge of juggling her own clients, the demands of developing a great convention program and her other numerous obligations. Few know that the week of the Convention, Jim Kahn, the founder of the Bankruptcy Legal Center, suffered a serious fall and was hospitalized for a week. This left Krystal to care for her own clients, Jim's clients, and the Convention programs. Throughout all she never stopped smiling. ACBC wants to thank Krystal for her commitment to our profession and her clients. 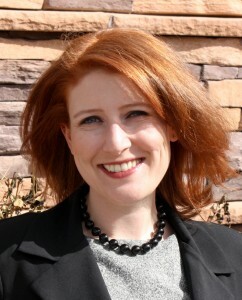 Andrea Wimmer, of Marco|Wimmer, is the co-Executive Director of ACBC, and was responsible for coordinating the consumer breakout for the Bankruptcy Section of the State Bar of Arizona. Her commitment to quality education was evident in the outcome of this all day program. ACBC wants to congratulate Andrea on this great job. Again, our membership wants to thank Andrea for all that you have done for the consumer practitioner, for the bankruptcy practice in general and for the members of ACBC. Andrea is the co-Executive Director of ACBC. Throughout the last several years Andrea has been very committed to the growth and prosperity of ACBC. She spent a considerable number of hours in coordinating and presenting numerous CLE programs, plus many other projects. Andrea’s engaging personality acts as a lighthouse for all those around her. You cannot help but smile when she walks into the room. Nor can you say no if she asks you to help out. Thank you Andrea for all that you have done for the consumer practitioner, for the bankruptcy practice in general and for the members of ACBC. Dan Furlong is a gentleman and a bottomless well of knowledge. If any ACBC member needs case law, language for a brief, or just a simple explanation of a complicated bankruptcy concept – there is Dan. His analysis is practical and on point. His library of cases equals the National Library. What stands out the most about Dan is that he is always willing to help anyone. His clients have wonderful things to say about Dan, his staff and his services. Dan – thank you for being our expert librarian and mentor. Ellen Sue Katz, of the William E. Morris Institute for Justice. Ellen is a diligent workhorse, constantly laboring behind the legislative scene in an attempt to protect the legal rights of those without a voice in the Arizona State Legislature. Ellen is a very important contributor to the ACBC Legislative committee. For example, Ellen worked in tandem with ACBC to fight an attempt by the bankruptcy trustees to eliminate the supplementary vehicle exemption for a person with a handicap. It was thanks to Ellen that this bill was defeated. This is just one of many examples of Ellen’s diligent commitment to protecting the citizens of Arizona. Our thanks to Ellen and the William E. Morris Institute for Justice; keep up the great work. Tami Johnson is the force behind the Arizona Bankruptcy Court’s Self-Help Center. She works in tandem with ACBC on several projects, such as finding volunteer attorneys for those debtors who have been abandoned by their own attorneys. In addition, she coordinates several programs: such as the attorney volunteers for the Self-Help Clinic (both telephonic and in-person), the Adversary Clinic and the Chapter 13 SWAT Team. In her free time she works with the Reaffirmation Clinic. Tami is constantly on the lookout for document preparers who are in run afoul of the Bankruptcy Code. She coordinates between the Bankruptcy Court, Arizona Supreme Court, the State Bar of Arizona and the United States Trustees Office in order to eliminate illegal or unethical practices. It is thanks to Tami that the general public has a safe place to obtain legal counsel regarding their rights in bankruptcy. 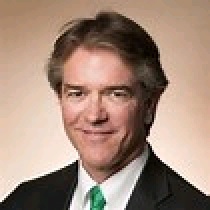 Scott Hyder chaired the Consumer Bankruptcy 201 and is one of the chairs of our CLE committee. Scott enrolls teams regularly to put on our CLE programs. Among Scott’s great value to our organization is that when someone says “we should do,” Scott turns around and makes sure that we do it. 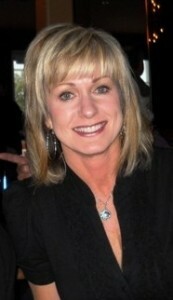 Cindy Greene is the Membership Chair and our Treasurer. Cindy takes on the projects that must get done and does them. When we decided to hold a get-to-together CLE with the Trustees, she organized the program which was attended by three chapter 7 Trustees, Judge Nielsen, and Chief Judge Marlar. Cindy has been our membership chair through the rough and tumble transition from a free organization to a dues paying organization. When the handling of dues collection became to cumbersome for the past Treasurer, Cindy agreed to step in and be our treasurer as well. Ilene Lashinsky is our U.S. Trustee. Ilene is a valued bridge within our Consumer Bankruptcy Community. Ilene speaks at our lunches and our CLE programs. She partnered the U.S. Trustee’s Office with us to put on the Consumer Bankruptcy 101 program providing her time and invaluable resources to that joint effort. Teri Yeates is the State Bar staff member assigned to the Bankruptcy Section. From our earliest involvement with representing the consumer bar, Teri has been our aid and our ally. Teri has administered countless CLE and Brown Bag programs that we have initiated. “Administered” includes sending out invitations, compiling the list of attendees and collecting fees, making sure there are enough copies of written materials, taking attendance, ordering lunch, and then cleaning up afterwards. Gary Stickell and Diane Drain, co-founders of ACBC. Since 2005, Gary and Diane have partnered in presenting meaningful CLE’s to our consumer debtor attorneys and (with Mark Lischwe) monthly lunches. Out of the email list for the monthly lunches grew to be the Lunch at Pugzies listserv (a thanks to Allan Butler and his staff for putting that google group together). Out of their commitment to the consumer bankruptcy attorney community and the integration of the newest members of that community, the group grew from ten to one hundred and fifty. Their efforts included: Diane’s start-up and guidance of the Bankruptcy Court’s Self-Help Center. Gary’s initiation of the Consumer Mentor sessions. The free Consumer Bankruptcy 101 program held at Arizona State University in May 2010. The history of their partnership is the history of our organization and it is right that they receive the initial members of the year awards. 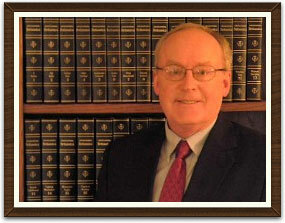 Michael was the first pro se law clerk of the Arizona Bankruptcy Court. Michael Zimmerman coordinated the grants and underwriting that allowed us to put on the Consumer Bankruptcy 101 program. Michael created the environment to grow the self-help center from consisting of just Diane Drain and a few of her colleagues, to a regular group of dedicated volunteers. Michelle is Gary Stickell’s assistant. Among her services to ACBC has been fielding the phone calls of all of you that wanted to join the Pugzies’ listserv and compiling the materials for the Consumer Bankruptcy 101 program. Without Michelle’s support, ACBC would not be what it is today.